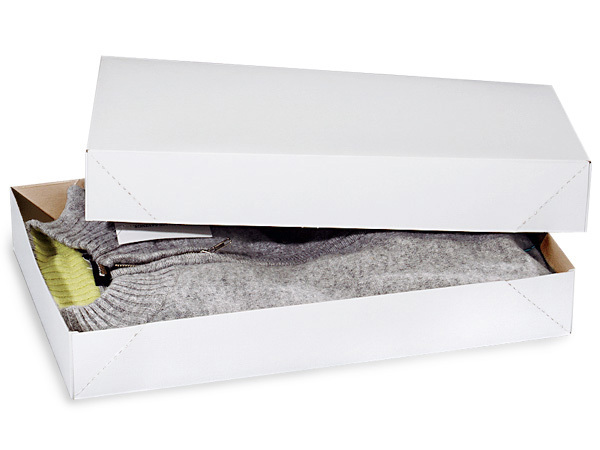 White gloss apparel boxes are packed 5 per pack. 17x11x2.5" size is used for sweaters, jeans and thicker clothing.. 2 pc boxes are 100% Recycled - Green Way ® Eco-Friendly Packaging. Made in the USA.